This 2014 Chevrolet Traverse LT is for Sale in Centennial, CO. This 2014 Chevrolet Traverse LT come complete with V-6 3.6L Engine, Anti-Lock Brakes, All-Wheel Drive, Automatic Transmission Adjustable Steering Wheel with Audio Controls, AM/FM Stereo, MP3 Player, Leather Steering Wheel, Remote Engine Start,Heated Mirrors and More! 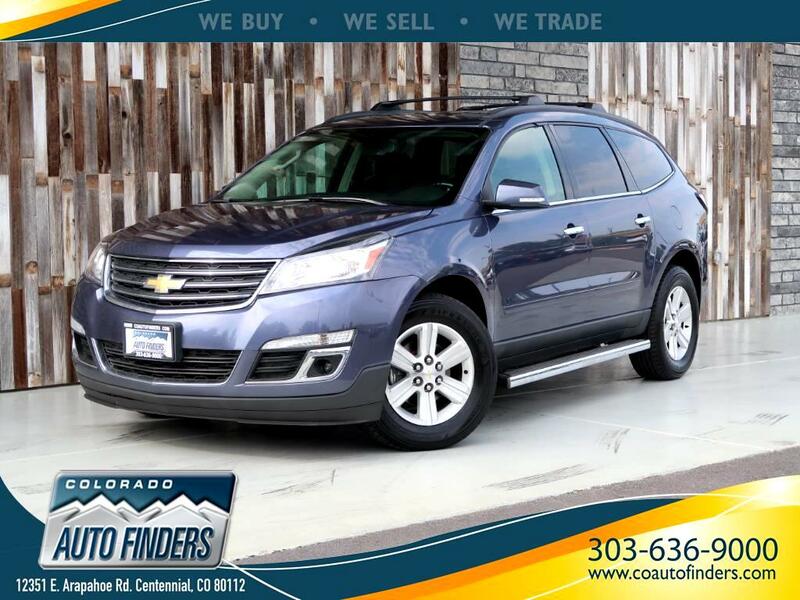 2014 Chevrolet Traverse LT for sale in Centennial, CO.
Used Suvs For sale in Centennial CO.